Reckhaus became a member of Biodiversity in Good Company initiative. Our collective responsibility and philosophy to protect insects and biodiversity brought us together. Our new cooperation partner Biodiversity in Good Company is a voluntary association of different companies to prevent biodiversity loss and to represent interests of the society and economy. Reckhaus has become a member of the alliance „Ethics in Business”. The coalition wants to implement structural changes in the current economic system in order to create a sustainable value-added chain. On different events organized by "Ethics in Business", committed entrepreneurs share and spread their visions in order to achieve this goal. Reckhaus contributes to this alliance with great commitment and their effort to prevent biodiversity loss and protect the environment. 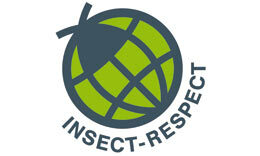 Reckhaus is the founder of the quality mark INSECT RESPECT® – and with the product line Dr. Reckhaus® the first certified user. The quality mark guarantees that a compensation area which is suitable for the species was created for the insect controlled with a product. Reckhaus actively supports the environmental and safety guidelines of the VCI as well as the worldwide Initiative Responsible Care. We waive critical chemical substances such as e.g. CFC, heavy metals, softening agents or genetically-modified substances. Our raw materials and materials stem from Germany and Western Europe and feature a high recycling share. By the fact that we operate all machines with electricity and compressed air we reduce the CO2 emissions. 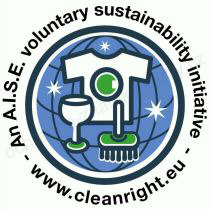 Reckhaus GmbH & Co. KG hold as ordinary member the certificate of the “Charter for Sustainable Cleaning” (Cleanright), a voluntary sustainability initiative of A.I.S.E. 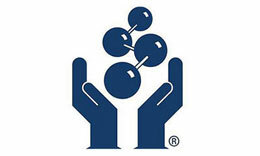 (International Association for Soaps, Detergents and Maintenance Products). Reckhaus is a member of the German sponsors' association for ecoconscious management (B.A.U.M. e.V.). We support the work of corporate Europe's leading environmental initiative both financially and morally. We have committed ourselves to bring the B.A.U.M. guidelines for ecoconscious governance into practice. Reckhaus is a member of Öbu Switzerland. The network for sustainable business sensitizes to corporate sustainability. 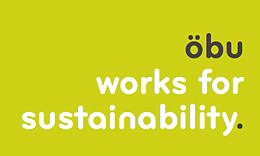 Öbu provides information on technologies and tools that companies can use at this stage for a more sustainable economic activity. Insect Respect by Reckhaus works with the Natural history museum Bielefeld. The content of the cooperation are inter alia book donations of "Why Every Fly Counts", the long-term loan of the Insect Respect exhibition for the museum and a common fair stand at the GENIALE 2017.